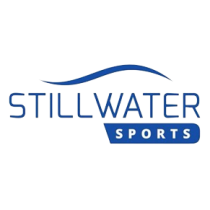 Leading sports marketing agency, Stillwater Sports has welcomed Vital Health Foods as a partner to eleven major sporting events in 2019. “We are proud to partner with South Africa’s leading vitamin and health supplement brand,” says Michael Meyer, Managing Director Stillwater Sports. “Catering for entrants of various ages, our events focus on a healthy lifestyle while encouraging people to enjoy the outdoors. With Vital as a partner in 2019 we look forward to growing this trend and welcoming more participants to all eleven of our events which include: the PUMA School of Speed (of which there are five), Totalsports Women’s Race (Durban, Johannesburg and Cape Town) and the FNB Run Your City Series (FNB Cape Town 12 ONERUN, FNB Joburg 10K CITYRUN and FNB Durban 10K CITYSURFRUN). Vital Health Foods: As the official health supplement and foods partner, Vital Health Foods will be present at each event to provide education and expert advice through trained promoters (and dieticians). Entrants can look forward to receiving scrumptious Vital food product in their event goodie bags to taste and sample at home. The Vital Team will also be collaborating closely with the Stillwater Sports Team to provide relevant content for event newsletters and social media on nutrition and supplements to help the participants get ready for the events. About Stillwater Sports: Based in Stellenbosch, Stillwater Sports is SA’s leading lifestyle sports marketing agency. Over 18 years Stillwater Sports has conceptualised, commercialised and delivered a vast number of “must attend” events on the SA lifestyle sports calendar. Iconic events such as the FNB Run Your City Series, Totalsports Women’s Race and Origin Of Trails MTB Experience boast sold out fields and world-class experiences with household names using these platforms to engage with their target audiences. Stillwater Sports has also recently been appointed as the official commercial agents of Athletics South Africa (ASA), and earlier this year delivered the first premium athletics series on South African soil in 15 years.